The Cost: $39.99 per month with free shipping for the VIP box, though there are two other subscription levels available as well. Flash Deal! Uuse code MSABEAUTYUVIP35 to save 35% off any month-to-month subscription! The Products: Depending on which plan you choose, you receive 1, 2, or 3 pieces of Cate & Chloe jewelry plus a bonus item every month. With the $39.99/month VIP box, you’ll receive three pieces of jewelry and one bonus item each month. Each box comes with a few cards detailing what is included in the box. Each piece comes wrapped in its own box! I can’t find these exact earrings online, so I don’t have a retail price. These little studs measure .25 inches across, with extra sparkle encrusted on the sides! It has a brass base, with 18K white gold plating (lead and nickel free), and genuine Swarovski crystals. This piece is made with 18K yellow gold plated metal and crystal stone accents. It measures about 18 inches long with an additional 2-inch extender. And Cate & Chloe also included a multipurpose cleansing cloth in the box. This works well for jewelry, glasses, screens, etc. This lingerie bag 17 inches by 14 inches, so it’s pretty big and can hold multiple items. Verdict: Cate & Chloe sends out similar styles consistently, so if you like the items in this box, I think you’ll be happy with what you receive in future boxes. The value is great, too. Considering that the pieces are 18K plated with Swarovski crystals, 3 jewelry pieces plus a bonus item for $39.99 definitely seems fair. Plus I love that each jewelry item comes in its own box! If one of the items isn’t your style, it is ready to gift! What do you think of the April Cate & Chloe box? I’m so glad that I have emailed them about my concerns about the terrible box I received. They are going to exchange all of the items that I have received. Their customer service is wonderful! I ordered when you posted this after asking CS if I would get the March or April box if subscribed today… was told March, so after seeing all your nice jewelry I was excited and signed up for the same VIP box they sent you. Received my box today…and it’s NOTHING like your box, just cheap costume jewelry I would never buy even on clearance… sorry, I wasted my money. I feel, they they sent you the best jewelry and gave me at least the junk…. off yo cancel my subscription. A lot of subs tend to do this, which sometimes, i feel, makes these review sites counterintuitive. I myself have received boxes with lesser value than the subscription addiction reviewers. I received my box today. I cannot find the words to describe how put off I am with this sub. I did not receive anything like Liz. Everything I received looks like dollar store clearance items. I immediately cancelled. The same happened to me. I emailed them, and they are willing to do an exchange or refund since I hate all the pieces I got and they don’t fit my “style profile.” Maybe you could give that a shot? At the very least you’ll get your money back. I have been a subscriber to this box for a while now. This month’s box was the worst one I have received. Nothing was my style profile at all. I didn’t like anything about this month’s box. This is not the way it has been for most of the boxes. I have emailed them also about this one too. Their customer service is truly awesome. I hope that I can get an exchange. The earrings are listed at 125.00 on their site. I hope I receive them. If I sign up now, do I get this box or the next month’s? I’m curious, the items seem of nice quality, but in your opinion, are they really worth the retail values given? I could definitely see them retailing for the prices listed, but personally, I wouldn’t pay those prices. Hope that helps a bit! I just signed up and then took the style quiz and was wondering if I was going to be receiving the exact items from this box as shown in this review or perhaps a different item because of having taken the style quiz. I did the Full VIP and just want to know if to expect these items or different? Is this particular box that is in this review based of the style quiz which asks questions primarily if you want classic or trendy items? Sorry for all the questions I’m just curious to know what I’ll be getting and also (last question i promise) when they ship. Thanks! The promo code is awesome! 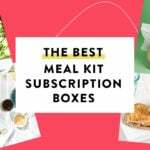 I love this subscription box for gifting the items that aren’t my style or for swapping! It’s hit or miss sometimes but I like that they include extras! This months box looks beautiful and I love the necklace! Thanks Liz for sharing the promo code! The code MSABEAUTYUVIP35 isn’t working for me. Am I doing something wrong? Nevermind– I figured it out. It only works on a month-to-month plan. Got it! Hey Liz, I have a question! I went back and looked at previous months to get an idea on if I want to subscribe to this, and I noticed something wonky. I’ve noticed that the “spoiler” you’ve been reporting for a particular month ends up showing up in the box for the PREVIOUS month’s review. For example, the bra bag in this review of the March box was in a spoiler post for the April box you posted on March 10th. Similarly, the Manna Kadar lip spoiler for the march box was in the Feb box review, and the Peyton “Royal” necklace was in a spoiler posted about the Jan box but in your review of the December box. Oops! I did not realize I was getting the box a month in advance. I will update the post title to reflect that this is the April box. Sorry for the confusion! Hope that it makes sense now! Oh thanks Liz! That makes a lot of sense! Do people receive different items, or just a different number of items depending on which subscription they choose? And do you know if I start this sub now, will I receive this month’s items? Thanks! According to the card pictured in Liz’s review this is the April box. I went to the website and this is definitely the April box. I ordered tonight with the code. It should be available until 4/4 according to their FAQs. Fabulous pictures, as always. I definitely think this is the jewelry sub for me. I was seduced by a House of Harlow from another sub, and I knew better. Every review I’ve loved either most or all of this sub. Beautiful pieces, their curation is always impressive.